Wishing for a Provo whiter smile but not sure how to get it? New to Utah smile tooth whitening lingo? At Hammond Aesthetic & General Dentistry, we educate clients on the variety of Provo affordable teeth whiting treatments; from whitening trays to Provo teeth bleaching to Provo opalescence whitening. We do smile whitening every day. Carbamide peroxide and hydrogen peroxide are the two main smile whitening ingredients. They can penetrate the outer layer of your teeth to remove the build-up, and help restore whitening to teeth. Call Hammond Aesthetic & General Dentistry at 801-374-0070 to schedule an appointment and we will explain the difference between these teeth whitening ingredients and how they may affect your Provo smile whitening results. Provo at-home teeth whitening products are probably not a good choice if you have crowns or dental veneers. You could end up with extremely uneven results or possible damage to your existing cosmetic dentistry. We know the best Provo teeth bleaching options and can recommend the perfect white smile solution for you. 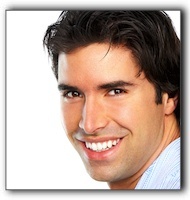 We also offer professional in-office Zoom whitening. 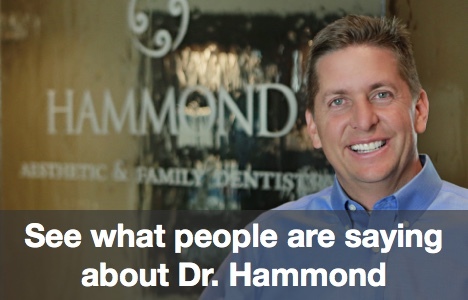 At Hammond Aesthetic & General Dentistry, we hope to see you soon. Give us a call at 801-374-0070. Bright Purple Mouth When You Smile In Provo?